Printvenue – Personalize each assets of things personally. India’s one of the widely used online printing platform – Spreading happiness country-wide. 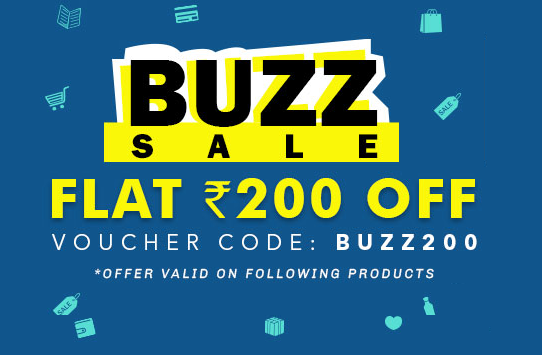 Now Get Flat Rs.200 on your Orders placed through Buzz Sale + Free Shipping on Orders above Rs.499. You can Personalize anything such as Mugs / Wallet / Cushions / Mobile Covers / Key Chain / Shirts and lot more. Visit Printvenue’s Offer Page and choose desired product in your Cart (Build your cart now and checkout later). Proceed to Pay and Apply Coupon – “BUZZ200” (No Minimum Cart Value). Pay using PayUmoney to get additional 1% discount or choose any other payment mode. Offer valid on selected range of products. Taxes & Shipping charges are additional.